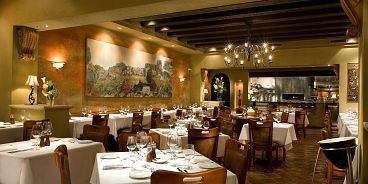 In celebration of the 25th Anniversary of CinCin Ristorante, Executive Chef Andrew Richardson has announced a special commemorative menu that will mix CinCin classics with contemporary twists, including wood-fired dishes from chef’s Grillworks Infierno. The four-course anniversary menu will be featured fromFriday, September 11th to Monday, October 5th. The price is $79 per person plus tax and gratuity, with suggested wine pairings available. Reservations for CinCin Ristorante’s 25th anniversary menu are highly recommended and can be made online here or by calling the restaurant at 604 688 7338. Further information about CinCin’s silver celebration can be found online at CinCin.net/25th-Anniversary.